Today’s adventure was free running. Not the sort where you leap from building to building – although I would love to give that a go! This free running was the type where you don’t really know where you are going or how far; you just go. This morning it was pouring with rain and I changed my mind multiple times before realising I was just stalling; I needed to throw myself out of the door and run! So followed 11.5 miles of mystery running. Turning down one street and then another, trying to seek out some good hills for my Beachy Head Marathon training and discovering more about how one part of the city links to another. I have a terrible sense of direction but somehow managed to create a big loop around Nottingham without having to stop and look at my phone too often. 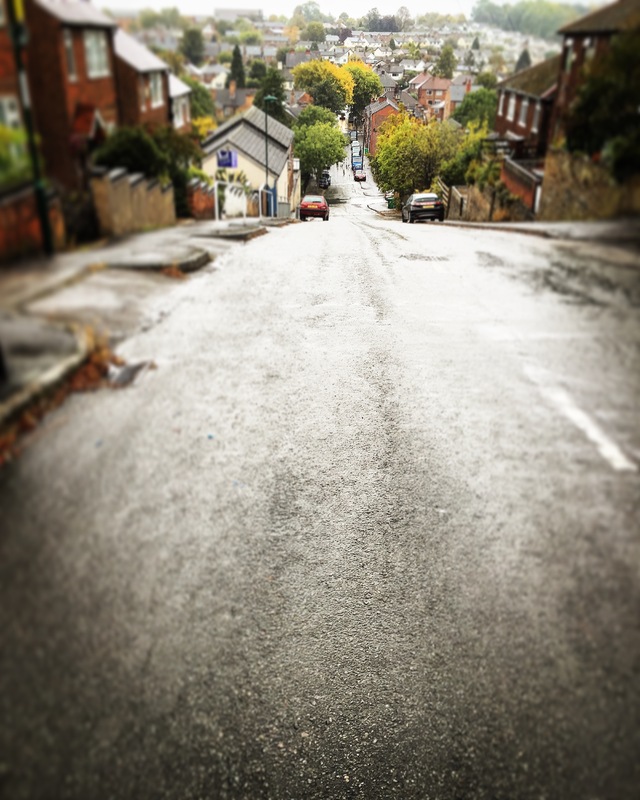 I found a short but brutally steep hill (Hood Street in Sherwood for anyone who fancies it!) and made it up and down a couple of times. It was steep enough that you had to run down it almost as slowly as you went up. I managed to avoid slipping over on wet leaves and conker debris and generally just enjoyed my little bit of free running. It is so important to be kind to yourself with exercise. If you don’t allow yourself to enjoy it you won’t want to go next time. Sounds like a toughie to me, especially that hill! Thanks so much Becky. Love your beautiful space site!